On August 23, Vladimir Putin will meet in Sochi with the Vatican’s Secretary of State, Cardinal Pietro Parolin, who will be in Russia on a working visit. Vatican's Secretary of State, Cardinal Pietro Parolin. The officials will discuss key issues of the Russia-Vatican relations in political, cultural, humanitarian and other areas. They will also exchange opinions on current international issues, primarily the state of affairs with Christians in the Middle East and North Africa, as well as the situation in Syria and Ukraine. 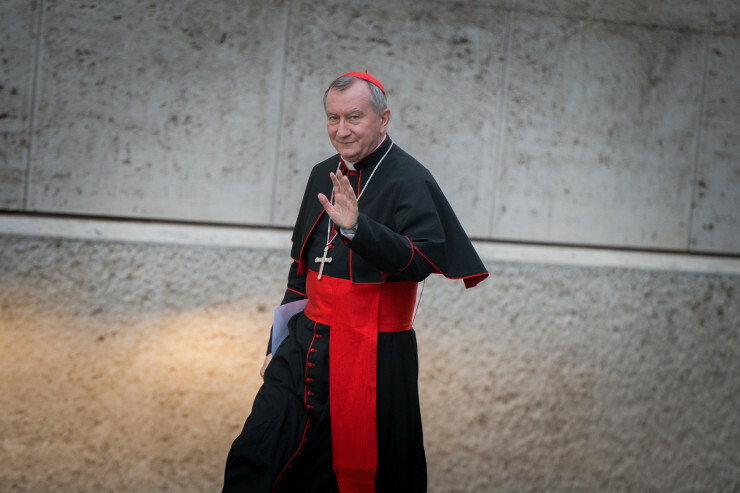 0 Comment to "Putin will meet with Vatican Secretary of State Parolin"